I don’t know about you, but sometimes I see so many wonderful homes online that it can make me feel a bit jealous. And, when I look at all the things I want to do around the house to make it look and function better, it can feel overwhelming…so then I just don’t even get started. Well today, I wanted to provide some inspiration…some ideas you can get finished in one weekend, especially if you’re a bit handy (or know someone who is). 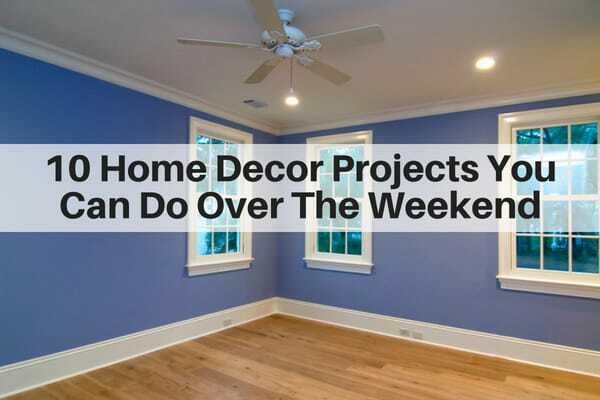 And, remember that if you tackle one of the projects each weekend, your home will look gorgeous in no time…maybe even with 1 month. Or choose another room. 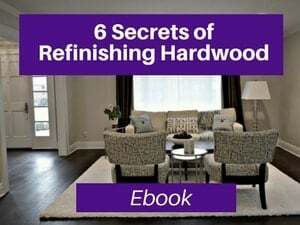 Painting is one of those easy Do-it-Yourself projects that most most people can do…even if they aren’t that handy. It is amazing what a difference a fresh coat of paint can make. It can give your room a whole new feel…in fact, it will almost feel like you moved…without the inconvenience. Most people don’t realize that you are supposed to seal the grout around your tile…and you are supposed to reseal it every year! 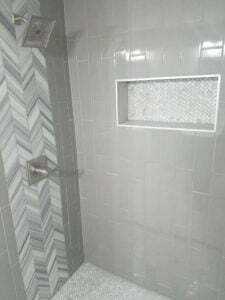 Grout is mainly made of sand. 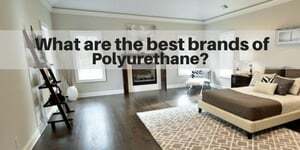 And, it absorbs everything, including dirty water and bacteria. Have you ever noticed that grout gets darker over time? That’s because it hasn’t been sealed and it then absorbs dirt. When you seal your grout, you add an antibacterial agent to it which keeps it cleaner. 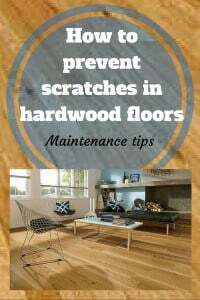 It also prolongs the life of your grout. 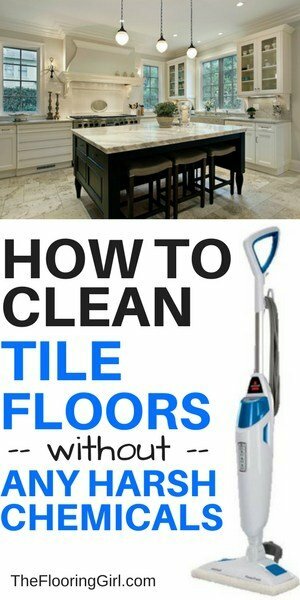 Check out how to seal tile grout yourself. This can be done in 1 day. 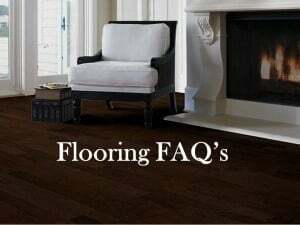 The weather and the nature’s elements (including the sun, rain and snow) can wear down the finish of your deck. 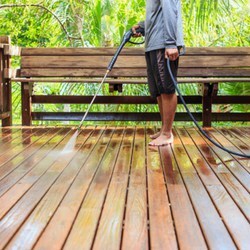 Most wood decks need to be powerwashed and sealed every 1 to 2 years. Thankfully, most homeowners are able to do this themselves by renting a powerwasher. Just be sure to check the weather forecast to make sure that the weather will be dry for at least 2 days after you finish (as well as make sure it’s dry before you start). So, if you’re into farmhouse style, then you know that sliding barn doors are all the rage these days. Nothing says farmhouse style better than a barn door (well maybe shiplap is tied for that spot). Adding a barn door to a laundry room, pantry, family room, kitchen or bathroom can give your home a nice rustic flair. 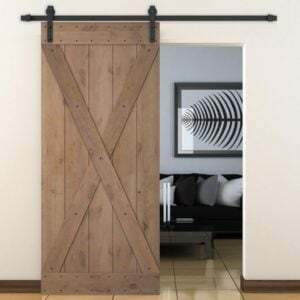 You can read more about these farmhouse barn doors here (and even buy them online at Amazon). I’ve found a much better selection on Wayfair. The picture above is from Wayfair and you can find it here. Every time I organize and declutter my closet I feel like a weight has been lifted off my shoulder. Sometimes just the act of throwing away and ideally donating items I don’t need is cathartic. When you have a well organized closet, it actually relieves stress. And, it makes it MUCH faster to find things. 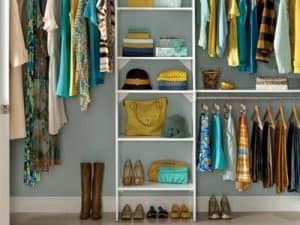 Here are 25 brilliant tips to organize your closet. This makeover is so simple, and you’ll notice it EVERY DAY when you come home. 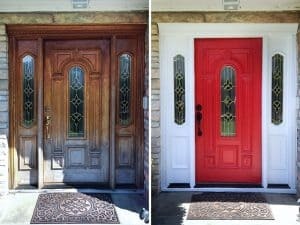 What a difference that door can make in welcoming you home. It can really transform the look. I love changing the color. You can do a more dramatic color such as red or navy. Or have fun with it and go for a purple or turquoise. 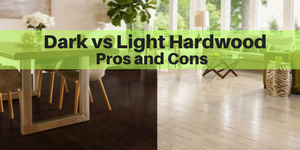 Of course it all depends on the base color of your house and what you love. But, have fun with it. Oh and make sure it’s warm enough. 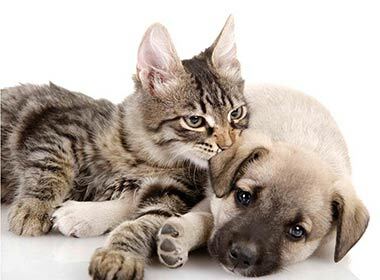 The temperature should be above 50 degrees at night, including during the curing time (which can be 2 to 4 weeks). And, of course make sure there is no rain in the weather forecast for 2 days. If you’re handy, and if you have a dated…or better yet, non-existent backsplash, consider adding one. It’s often easier when you choose mosaics as these are on meshed sheets so it’s easy to align them. 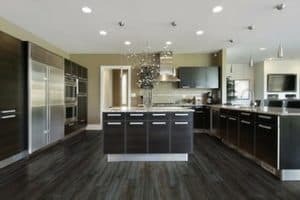 Check out more backsplash options in this article – 20 neutral backsplash options for kitchens. 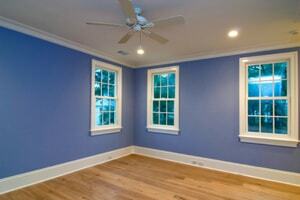 Most people are amazed at the impact that crown molding can have on a room. It makes it look so much more elegant and gives it a finished look. It also makes your walls look taller. And, it makes your paint pop more. 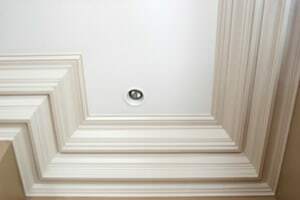 Crown molding can be intricate (as this picture is or simpler as you can see in the blue bedroom in the first section. 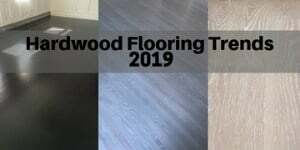 If you’re handy, you may want to check out this fairly new flooring material called Coretec Plus. 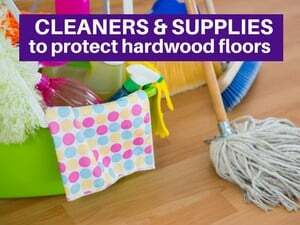 It looks like hardwood, but it’s waterproof, so it’s perfect for areas that may get a bit of water or moisture. 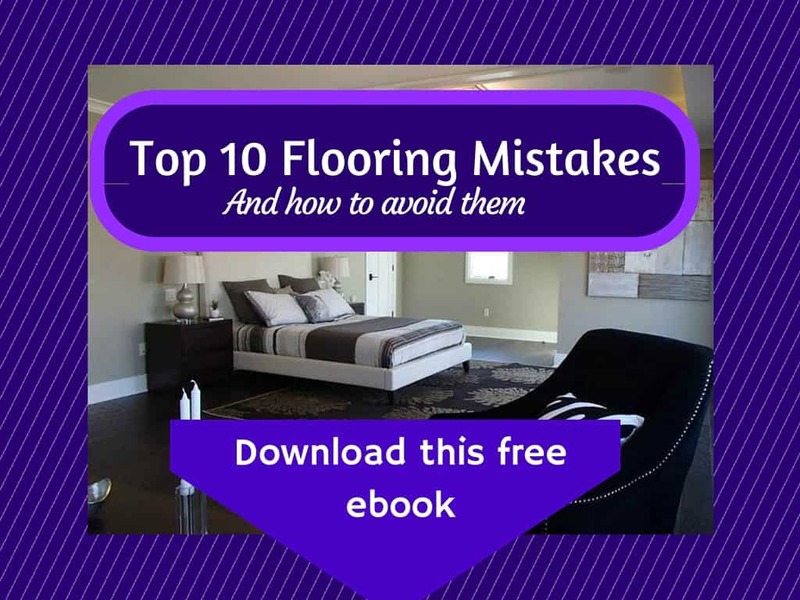 If’s a floating floor, so you can install it directly on top of concrete, tile or sheet vinyl flooring…without the need to remove the existing floor. And, it has a bit of cushioning on your feet. 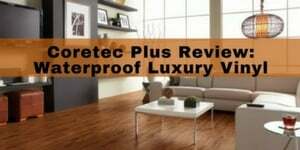 You can read more about Coretec Plus here and even watch a quick tutorial to see how easy it is to install. 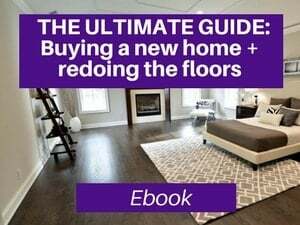 This is an easy way to upgrade the look of your home. It’s amazing what a difference brushed nickel door handles can make. 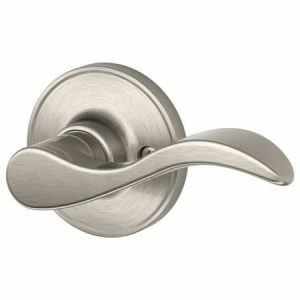 These levered door handles look so sleek, and if you’re living in the 80’s with gold or brass trim, upgrading and updating will make a big difference. 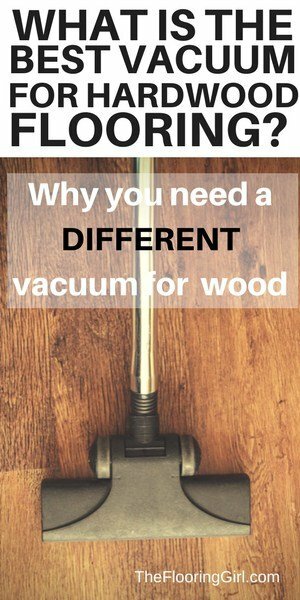 This is such an easy project for even a novice DIYer, and it can be done in a day. 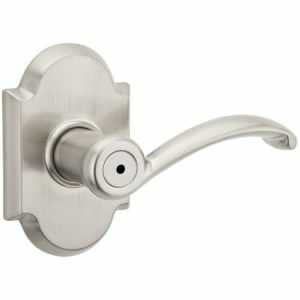 They come in different finishes, but I think brushed nickel is my fave. The oil rubbed bronze ones look nice too (these are black). The one above can be found here. And, the rounded one to right can be found here. You can find a broader selection of styles here – different colors and shapes. 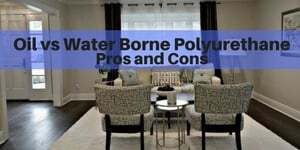 Bonus: You can also easily update your kitchen faucets or bathroom faucets as well and even the hardware on your kitchen cabinets. Again, these are simple projects that make a big difference.